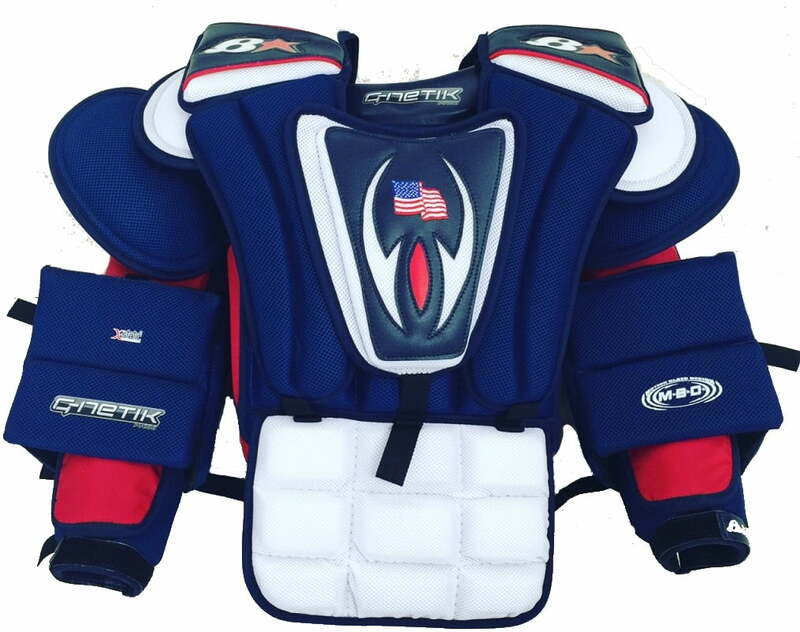 Brian’s GNetik II Pro Custom “USA” Chest & Arm Pad | Sports Etc. The Brian’s GNetik II Pro Custom USA arm and chest protector is an all new design created exclusively for Sports Etc. The chest pad has an over-sized and high-density foam reinforced sternum plate. The chest and arm pad also has hinged arm floaters for an improved range of motion. Sports Etc Performance To Value Rating– 10 out of 10. In our opinion, one of the most protective and unique chest pads on the market.